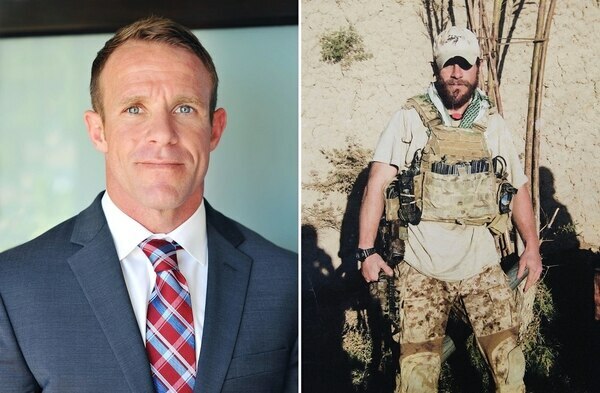 Chief Special Warfare Operator Edward “Eddie” Gallagher not only stabbed to death a teenage wounded Islamic State prisoner of war during a 2017 deployment to Iraq, according to an officer in his chain of command, but the SEAL also called in “false target coordinates to engage a mosque," tried to push his platoon into pointless and potentially catastrophic firefights with insurgents and became so mentally unstable that he should’ve been relieved from duty but wasn’t. 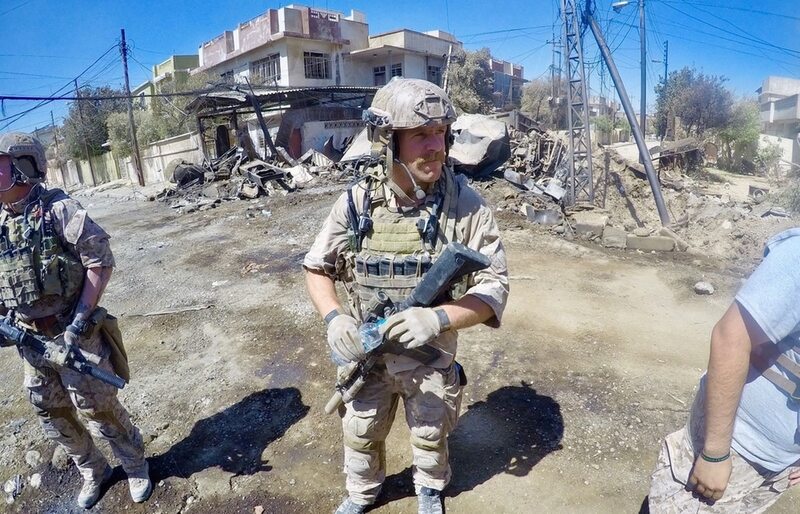 His commanding officer at SEAL Team 7′s Alpha Platoon outside Mosul in mid-2017, Lt. Jacob X. “Jake” Portier, also faces a raft of charges for allegedly trying to conceal his chief’s crimes. Because these witnesses are expected to return to operational SEAL teams, military officials have asked Navy Times to continue its policy of not printing their names or disclosing information that could identify them to overseas terrorists who would put them or their families at risk of harm. Navy Times also has agreed to not publish information that could compromise tactical secrets. Officials at California-based Naval Special Warfare Command and Navy Region Southwest either declined to comment or didn’t return multiple messages from Navy Times seeking comment over the span of two days. In his proffer request submitted on Wednesday to military prosecutors at Region Legal Service Office Southwest, a lieutenant who served as Alpha Platoon’s Assistant Officer in Charge — or AOIC — indicated he’s prepared to deliver some of the most damaging testimony to both Gallagher and Portier. Written by Michael Hanzel, a former Navy attorney now in private practice specializing in military cases, the lieutenant’s proffer indicates he believes senior leaders failed to take action against Gallagher because of their close links to the chief. Portier was Gallagher’s student going through SEAL BUD/s training. Their troop commander, Lt. Cmdr. Robert Breisch, was a prior-enlisted sailor who became an officer — a “mustang” — who also had worked closely with Gallagher. And a SEAL command master chief in a deploying team also had known Gallagher before he rose to his position. It was the AOIC’s first combat tour as a SEAL and “although he invested a lot of faith and trust in his leadership to guide him and do the right thing, ultimately the message he got back was that no one wanted to hear what he had to say or heard it and tried to contain the information from being released,” he told prosecutors. One of Gallagher’s civilian attorneys, Phillip Stackhouse, cautioned that the legal significance of the AOIC’s proffer request could dissipate significantly once he’s under oath, even if he’s been granted immunity from future prosecution. “If he lies during a proffer session, he could be prosecuted for it,” said Stackhouse. “The statement he makes also can be used to impeach him." Stackhouse continues to insist his investigation will show that Gallagher committed no crime and a panel of the SEAL’s peers will agree with him. Although the AOIC’s proffer request detailed concerns he raised about Gallagher’s fitness for duty before, during and after the 2017 deployment to Iraq, his narrative indicates his relationships with both the chief and Portier became increasingly strained as time marched on. Initially, many of the AOIC’s concerns stemmed from a growing belief that Gallagher was exercising poor judgement that could pointlessly get SEALs killed. At one point, Gallagher told him that Alpha Platoon needed to find Islamic State elements and get in “one good TIC” (Troops in Contact, the direct and violent engagement with an enemy), “one where you need to focus on your field of fire or else you could take (a bullet) to the side of the head,” according to the proffer. The AOIC told Gallagher this sort of training by fire “was extremely unnecessary” but Gallagher shot back that his SEALs were “all a bunch of pussies," the document states. The AOIC told prosecutors he had come to believe Gallagher was “going to put the platoon in extreme danger” and an unassertive Portier would do too little to stop him. The AOIC indicated he’s willing to testify about a raid Gallagher proposed in July 2017 that involved “shooting people under the bridge." The AOIC told prosecutors he interjected because of flaws in the plan, including a non-existent goal to achieve by the attack, the lack of reasons for gunning down the people under the bridge and the failure to include contingency options if they got pinned down on the riverbank. The AOIC “stressed that this was putting their platoon in an extremely vulnerable position for a mission that was not even authorized,” an argument that ended not only the conversation but the proposed raid, according to the proffer. The AOIC was so worried about Gallagher that he made it his bedtime ritual to practice calling in MEDEVACs, which front-line troops call “9-Lines" to brief inbound helicopters that medically evacuate wounded personnel, he added. The AOIC said he stressed the rules of engagement handed down from superiors to Alpha Platoon, regulations designed to prevent the killing of civilians, but this “sparked aggression” from Gallagher. 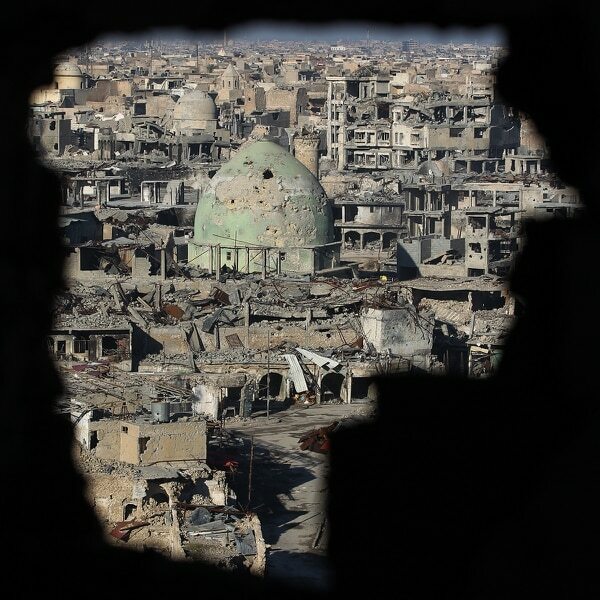 As Iraqi government forces drew closer to liberating Mosul from the Islamic State in July 2017, he recalled watching ISR footage — an intelligence, surveillance and reconnaissance feed, often shot with a drone aircraft — with Gallagher and other SEALs. It showed female Islamic State fighters ambushing Iraqi troops in a bloody last stand. After Mosul fell to Iraqi forces, the AOIC recollected a conversation he had with the lead petty officer in the SEAL platoon and Gallagher about why they joined the Navy. The SO1 and the AOIC said they put on the uniform due to “loving their country and trying to live by the SEAL ethos,” he said. The AOIC said that triggered another round of discussions with Portier about relieving Gallagher. The tension dissipated when someone joked “it would be pretty hard nowadays with technology and security cameras," the AOIC indicated. The AOIC told prosecutors Portier not only knew about many of these incidents, but so did a pair of senior enlisted and commissioned troop leaders who visited Alpha Platoon during the summer of 2017 and continued to interact with the SEAL team after they returned home to California. 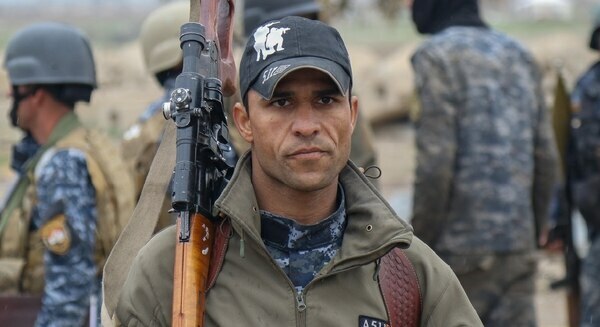 The AOIC recalled driving with Breisch into the western side of Mosul. 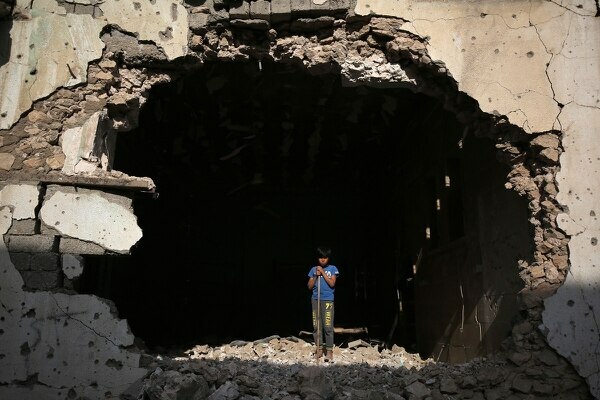 He said Breisch informed him that Iraqi forces were bringing in another detainee. 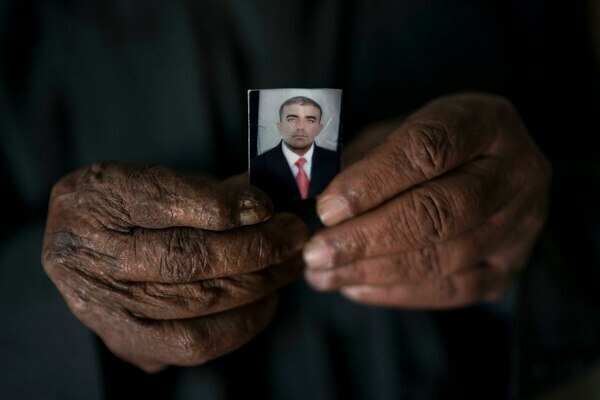 Breisch ordered him to question the prisoner and offer him food and water, but the detainee was to remain in the official custody of the Iraqis, according to the proffer. When the Iraqis yanked the burlap sack off the prisoner’s head, the AOIC saw an elderly, blindfolded man who looked famished and parched. After a few nibbles of food, he told the AOIC that he was a technician who had been imprisoned by the Islamic State to toil at the Mosul Hospital, he recalled. But in the middle of the interrogation, Gallagher “leaned his back against the wall and pulled out his tomahawk” and began tapping the blade “against the cement wall in a threatening manner," the AOIC alleged. It remains unclear in the proffer whether Breisch took any action against Gallagher, but the lieutenant commander left with the chief, according to the AOIC’s statement. The AOIC said Breisch’s senior enlisted adviser, the troop chief, also should’ve been on notice about Gallagher’s alleged misconduct. During that visit in the summer of 2017, the AOIC said he was in the mission planning room while Gallagher was giving the troop chief a tour of the building. The AOIC told prosecutors he put Gallagher “on the spot and told him to tell (the troop chief) about the detainee” he allegedly stabbed to death. Gallagher, the proffer states, “became clearly flustered” and muttered something about how “they were getting that close to insurgents.” Although the AOIC said he wasn’t sure if the troop chief understood that this was a war crime, he thought the senior enlisted leader “would look into it or at a minimum talk to (Breisch) about it,” but nothing further seemed to come “from this notification,”according to the proffer. Once the SEAL platoon rotated home in late 2017, rumors continued to swirl throughout the SEAL community in Coronado about Gallagher’s alleged misconduct in Iraq. The AOIC said he was informed that there would be a platoon meeting in Alpha’s highbay (a locker room) and Gallagher would be given the chance to speak to the junior SEALs. After the SEAL powwow, the AOIC said Gallagher sidled over to him to reimburse him for a haircut he bought the chief during the deployment in Iraq. The AOIC refused and looked at Portier and said, “You know this is not about the money,” according to the proffer. The AOIC told prosecutors he later confronted Breisch about the status of a proposed Silver Star award to Gallagher for battlefield valor. The AOIC said he told his superior he wasn’t “comfortable routing the award” because Gallagher’s actions didn’t deserve such a lofty commendation, but Breisch allegedly told him, “Keep your personal feelings to yourself because the command expects this award" and the conversation abruptly ended, according to the proffer. The AOIC recalled another talk he had with a SEAL command master chief over beers at the Veterans of Foreign Wars post in Coronado in November 2017. It was the command master chief, the AOIC said, who brought up allegations of illicit drug use within Alpha Platoon, but then continued with the more serious accusations dogging Gallagher. According to the AOIC, the command master chief asked him “if he wanted to get SOC Gallagher in trouble.” The AOIC retorted that Gallagher “needed serious help because of his current unstable mental state” and the command master chief should discuss this with his superiors, Portier and Gallagher, according to the proffer. The second proffer submitted to prosecutors on Jan. 17 by Brian Bouffard, a Texas-based attorney, on behalf of the troop chief sheds more light on SEAL Team 7′s inner workings. The troop chief indicated he began a series of conversations with Alpha Platoon’s lead petty officer around Christmas in 2017. He remembered rumblings about Gallagher allegedly stealing nutrition bars and beef jerky out of care packages, plus concerns about Gallagher’s leadership raised in the autumn, but the troop chief said he “had heard nothing whatsoever” about alleged war crimes. During one conversation, the SO1 told him Gallagher also filched sunglasses and money but “it was a lot more than that,” according to the troop chief’s proffer. The troop chief told the SO1 the allegations weren’t enough to derail a looming advancement of Gallagher to senior chief but that his proposed Silver Star already had been yanked, the proffer indicates. The “emotional" SO1 called Gallagher “a psychopath” who "should never be in a position to lead and seemed relieved to tell him about the alleged incident, according to the proffer. The troop chief asked him why no one had reported the alleged murder and the SO1 answered that they thought it was pointless because of Gallagher’s close ties to the entire chain of command, not to mention the prospect “about other people getting in trouble or caught up in things,” the proffer stated. The troop chief told prosecutors that after Christmas 2017, several Alpha Platoon members wanted to take their concerns directly to the Group 1 leaders, hurdling the troop chain of command. So he went to see Group 1 Command Master Chief Steve Ward to brief him on the allegations. The SEALs never went to Group 1′s commodore, the troop chief told prosecutors, and he and Ward decided it was time to pull Gallagher out of his post-deployment billet training SEALs. The troop chief told prosecutors he took the allegations seriously because they came from “solid performers who should be taken seriously” and advised SEAL leaders that the proper venue for the probe now rested with Naval Criminal Investigative Service, not Group 1. By this time, Gallagher had been transferred to Group 1, where he worked as an assistant in the operations section of the training wing. The troop chief had become the senior enlisted adviser for Group 1′s operations department, but he told investigators the training team didn’t fall under his control. That didn’t prevent Gallagher from texting him repeatedly to complain about his former Alpha Platoon SEALs. The troop chief told prosecutors he eventually pulled Gallagher into a classroom and alluded to more serious allegations coming from the SEALs, including the accusation that he murdered the prisoner of war. It was then, he said, that Gallagher announced he had killed the wounded detainee “in self-defense,” according to the proffer. “Knife kills are virtually unheard of in the SEAL community,” the proffer states.